A cancer check-up and treatment camp was organised at district headquarter hospital here on Saturday. Noted Doctor Dinesh Pendharkar from Mumbai rendred his services during the camp while Acharya Harihar Regional Cancer Centre (AHRCC) Cuttack director Dr. L. Sarangi, with Joint director NCD Odisha, Dr. PKB Patnaik, attended the camp. Under the guidance of the doctors chemotherapy was administer at the DHH by the trained doctor Debabrata Dakua, A total no of 79 patients were attended the camp the team of doctors referred some of the patients to ARCC Cuttack for oncosurgery and radiotherapy. 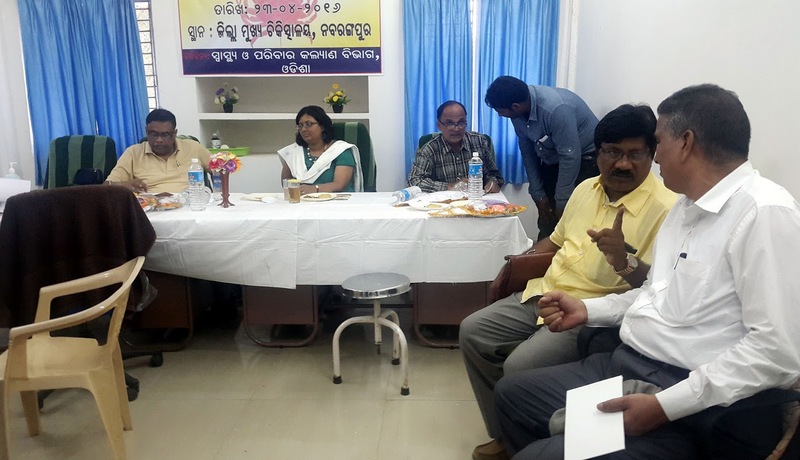 During the function, Collector Ms. Rashmita Panda, CDMO Anup Kumar Ghose, Joint CDMO Niranjan Nayak, ADMO Dr. Ch.Sovarani Mishra, and others were also present. Collecot Ms.Panda,assured to provide monetary help to the patients those who are referred to ARCC.It was for the first time that such a mega camp was being held at DHH Nabarangpur. Owing to increasing awareness about cancer, the number of cases with early detection had increased, which was helping the doctors cure the disease in the initial stage itself.